Print-based graphic design is an essential service that’s utilized by just about every company out there. From simple business cards to complete corporate identity packages, fashion lookbooks, posters, and brochures, there are always items to be printed and passed around. Most people are now trying to adhere to the most eco-friendly business practices possible, but it can be tricky to balance cost-effective measures with environmental ethics. Read on to learn how to make your own graphic design business (or experience) as green as possible. Printers and graphic designers have long lived in entwined chaos, each attempting to interpret the electronic wizards living within their individual computing systems. Logic suggests that adding environmental concerns to this equation would only serve to exacerbate this already malfunctioning system, but fortunately for green-minded graphic designers (and printers), these days are long gone. The green path of the future involves getting on close terms with your favorite printer, or finding one that’s best suited to your needs. While demands can be as simple as specifying recycled paper and soy inks when working with a printing house, the greenest printers and print technology innovators have moved beyond these basic materials to far more sustainable solutions. 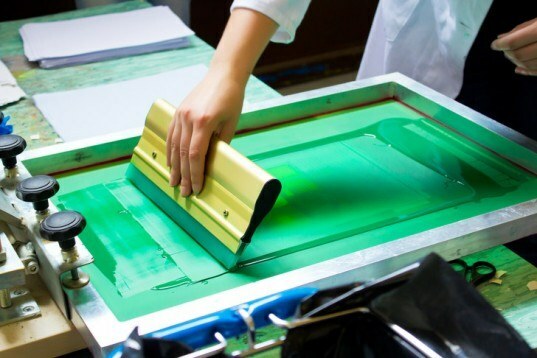 Many now offer process-less printing plates, low-VOC (or entirely VOC-free) inks and solvents, for example. 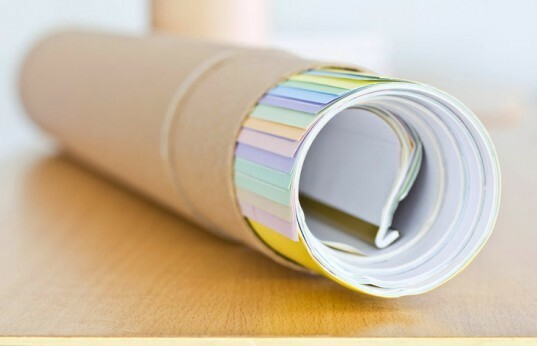 A simple Google search for “eco-friendly printer” in your area (or your client’s, if you’re working remotely) will undoubtedly bring up a great list of local print shops that can assist you with all your needs. Of course, it’s also important to do your research, and not just assume that a company is truly as eco-friendly as they claim to be. 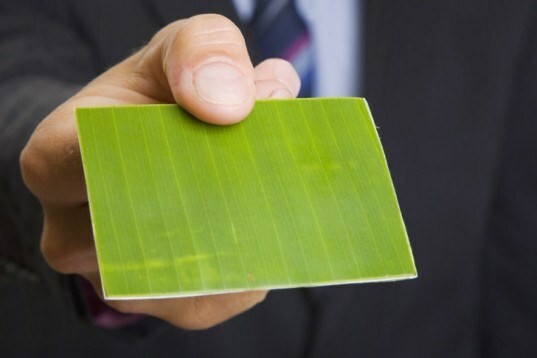 In a world where “sustainable”, “green”, and “eco” are buzzwords, can we trust printers or materials supply companies when they tout their greenness? It’s best to ask the right questions in order to ensure that their business practices mirror your own ethics. Discuss eco-options with your client early—before you lay one path on your virtual artboard. Calibrate your equipment to facilitate print accuracy and enable the use of PDFs, rather than printed proofs. Spend time on pre-press: check with your printer to troubleshoot your file setup, and get it right the first time—you’ll save resources as well as your sanity. 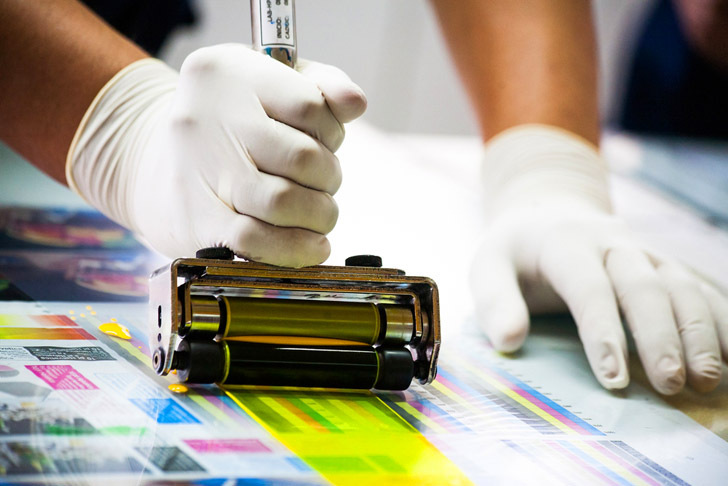 Limit your color palette: check with your printer to find out their maximum number of colors for a single press run. Consider where your materials come from to determine fuel consumption in transport. Is your printer located close to the area of ultimate distribution of your printed matter? Does that special paper you “must” have come from New Zealand? Stick to standard paper sizes and die-cutting options. Specify the greenest paper possible: totally chlorine free (TFC), post-industrial recycled content, post consumer recycled content, FSC-certified, recycled fabric content, or tree-free paper such as Kenaf or Hemp. Does your printer use alternative energy to power their equipment? Do they outsource jobs or complete everything in house? Eliminate energy use in transport. Are they (or their papers) FSC- or ISO 14000-certified? Investigate the chain of custody for materials they use (inks, paper, other). Do they use process-less printing plates? This cuts down on those nasty photosensitive toxins, and replaces them with inert carbon and tap water. Do they choose inks, coatings, press wash, etc. with low VOC content? Cleanliness of facilities: do they dispose of their ink excess and materials properly? Schedule a visit to their facilities and see for yourself. What are the optimum sizes for you to lay out your documents, given the printer’s press size? Talk to your printer about which standard formats and sizes you can specify to cut down on paper waste. Use of work-off ink—your printer may be able to mix special colors for you made from excess ink left over from their previous jobs. Use of standard dies for die-cutting needs. Although your printer may not be eager to have you as their new best friend initially, they’ll actually be delighted by you in the long run. What printer wouldn’t love to receive perfect documents that adhere to standards and don’t tax their equipment or necessitate the need for customization There’s also the major benefit of word-of-mouth networking: happy clients let others know who assisted them with their design needs, so if you develop a good rapport with your printing company, you can refer clients to one another and help each other’s business grow. It sounds like green production, what about design? Great article with some terrific ideas. Thank you for sharing this. I find myself increasingly frustrated by the term "green design", at least at it is widely being used in the graphic design industry. As I recently wrote in my own blog (drawingonexperience.com), I fear that the term is fostering a mindset that places environmentally-conscious design in a separate category than plain ol' good design. In doing so, it may be marginalizing the very issues that it seeks to address. I believe that good design is inherently "green", in that it includes careful consideration of the environmental and socio-cultural impacts of the piece from the project's beginning and is executed responsibly with those concerns in mind. Hi Richie, i've done printmaking. Work can be done on computer but i prefer to draw on paper, which i went through not more than 10 A3 layout paper sheets. To decide on the right material, i use a small piece of each material and printed an odd shape, testing how well it prints on and the effect. To visualise my work, i take a picture of my carved boards then shade the areas in photoshop for a clearer picture. It's all about working smart really. Didn't waste a lot of paper...totally enjoyed the entire process...except for the few cuts. Thorough and well done. An excellent presentation. Good information to follow up on. What about investigating 'greening' other graphic processes as well ? Such as Fine Art printmaking and Silk Screening ? Print-based graphic design is an essential service that's utilized by just about every company out there. From simple business cards to complete corporate identity packages, fashion lookbooks, posters, and brochures, there are always items to be printed and passed around. Most people are now trying to adhere to the most eco-friendly business practices possible, but it can be tricky to balance cost-effective measures with environmental ethics. Read on to learn how to make your own graphic design business (or experience) as green as possible.